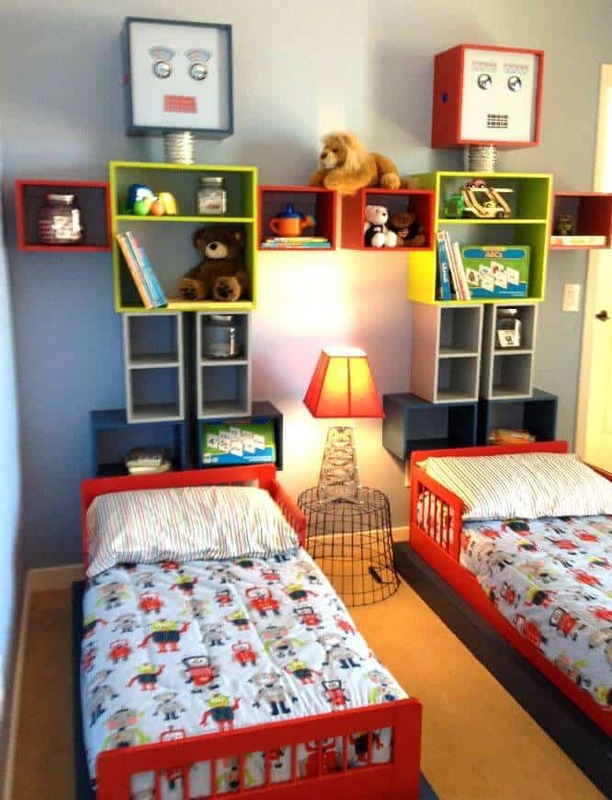 When it comes to kids’ room décor for boys, bold colors and a lot of potential for activity will help to make your boy’s room more comfortable and interesting. 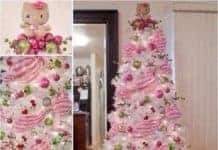 In order to come up with some great ideas for kid’s room décor all you need is a little imagination and a knowledge of your child’s interests. 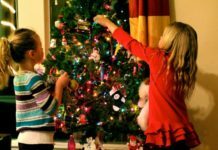 However, if you are looking for some creative kid’s room decor ideas the following ten kids room décor ideas suggestions may help. You can create a fun adventure room for younger children by turning those bunk beds or that loft bed into a tree house with a rock wall to climb to the top level and slide to get back down to the ground. 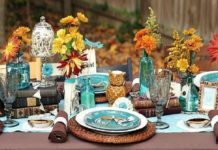 Try painting the walls a nice sky blue and using wall stickers to create a mountain mural, or other outdoor scene. Carpet the floor for more safety and add small wall stickers of plants or birds to brighten the furniture. 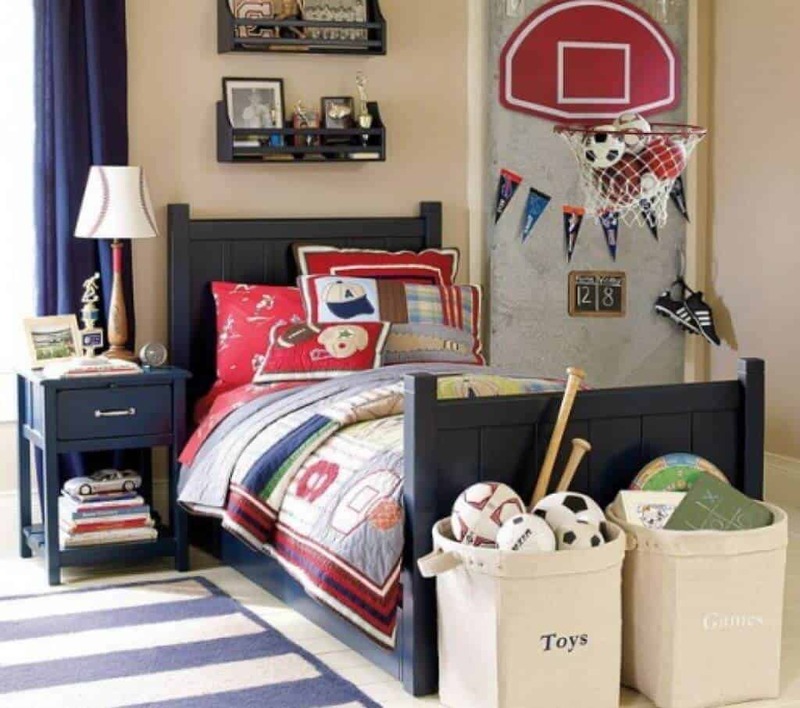 Sports make for another great boy’s bedroom ideas that is suitable for boys of various ages. Consider the sport or sports your child is most interested in and create the entire décor around that or those sports. For example, a basketball themed room can easily be achieved by hanging various team flags around the top of the bedroom wall and adding a couple of wall sticker themes to the walls to add color and continue the theme. Add a small basketball hoop to the top of your kid’s bunk bed, loft bed or the bedroom door and hang curtains the color of your child’s own basketball team or their favorite pro basketball team, use a basketball themed bed spread and round basketball inspired pillows. The same idea will work for football, soccer or other sport. Use specific themed quilts, bed spreads and throw pillows to match the specific sports theme. 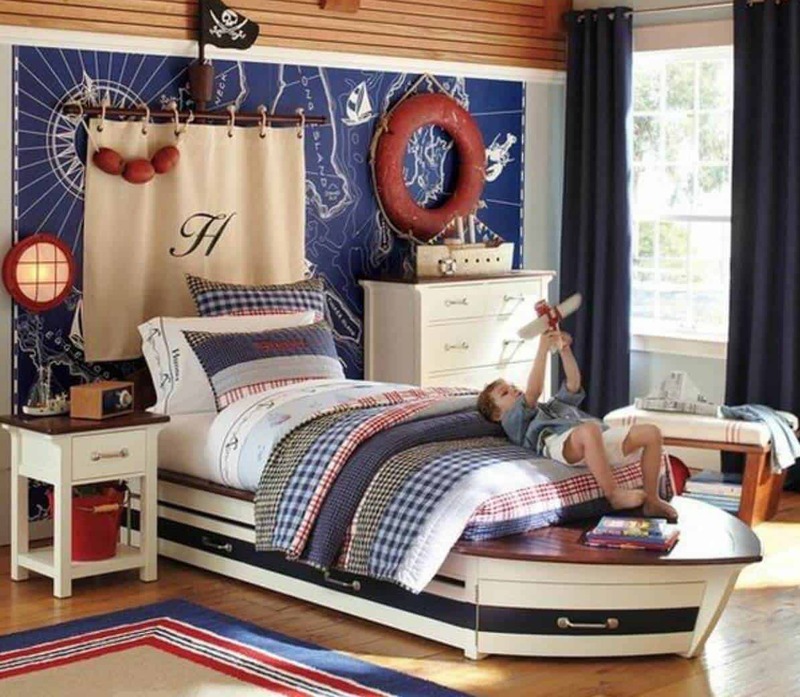 It is easy come up with some great kid’s room décor ideas centered around a nautical theme. From those pirate themes to sailing themes for older boys there are an abundance of ideas for you to draw from. A bit of blue carpeting on the floor to give the inspiration of the sea, Walls can be painted a lighter blue and you can use wall stickers to create distant islands. In addition, you can also hang a fish net over the bed or on a wall and place sea shells, starfish and other sea inspired items in the net. 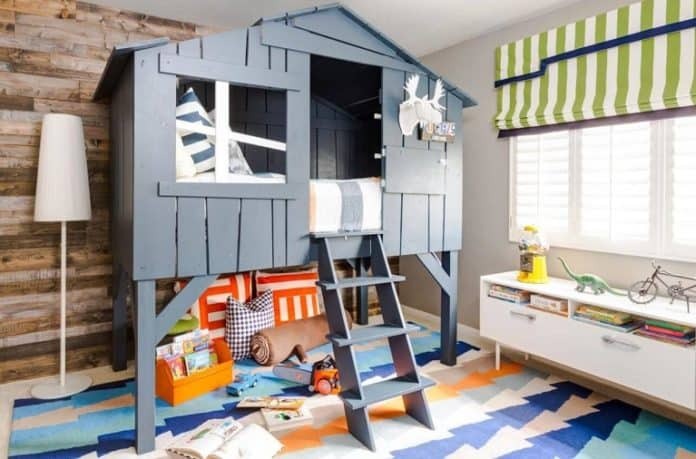 For smaller children you can get a set of kid’s beds, loft bed or set of bunk beds made to resemble a pirate ship, and purchase a toy chest made to look like a treasure chest. Older children may choose regular twin beds and sailing or surfing inspired bed spreads, and curtains. A Safari theme can spur some great boy’s bedroom ideas. 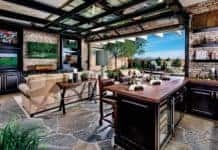 You can furnish the room with bedroom furniture that comes in either shades of green or camouflage or for smaller children get a kids’ bed that is made to resemble a safari jeep. Wall décor can include anything from a large map of Africa to wall stickers for various jungle animals. A bit of green carpeting and a few safari inspired accessories like area rugs or pillows and you are good to go. If your son is an artist then creating a room fit for an artist of any age will make it a room they will love and feel comfortable in. Paint your child’s room the color he chooses and try adding a large chalkboard or whiteboard for those spur-of-the-moment artistic moments. Create a lot of different colors and textures on the walls and floors and make sure your child has a table with a drawer to keep all of his artistic supplies in. To make the room more personal, frame some of your child’s artwork and hang it on the walls. Stencil geometric shapes on the headboard of your son’s bed and on his dresser and then add a few finishing touches of your choice. 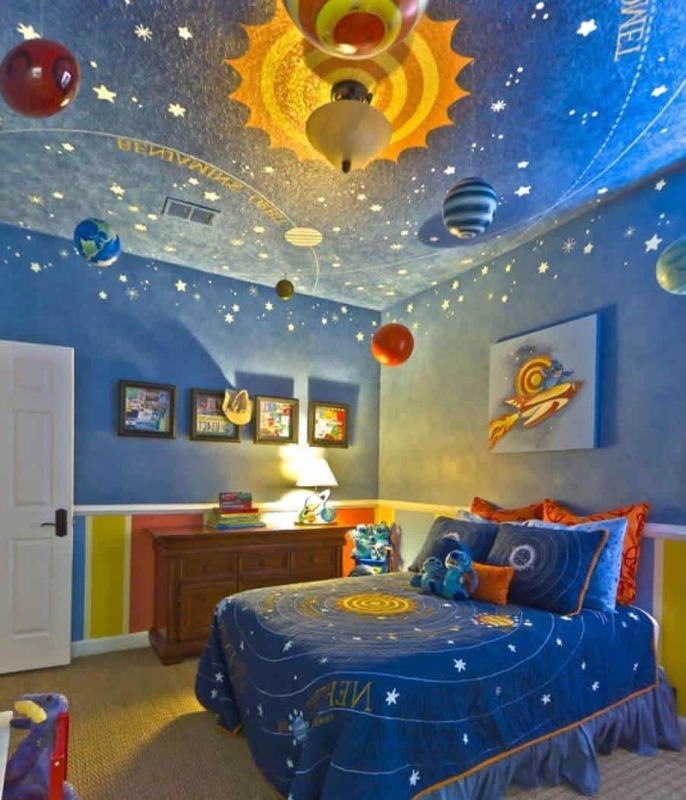 With so many stories and movies dealing with space, creating an outer space themed bedroom for children who are interested in the solar system and beyond is a great way to encourage their interest in the universe. A space theme can be adjusted to fit a very small bedroom or a large open space. There are a number of wall sticker murals featuring astronauts, rocket ships as well as glow-in-the-dark stars, and even inflatable planets. There is even bedding with space themes for kid’s beds and area rugs with space themes making it simple and easy to create an outer space bedroom theme from the ground up. 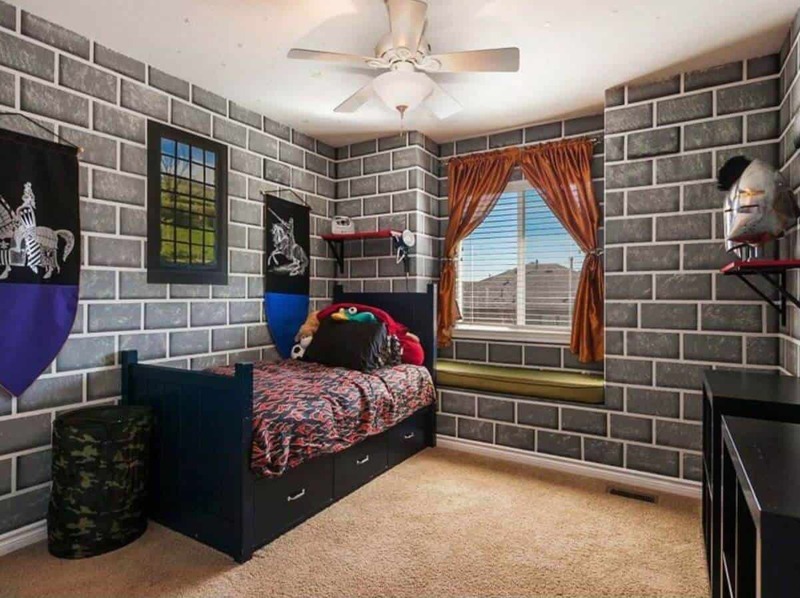 Many younger boys like knights and a knight-themed boy’s bedroom is fairly easy to create. Simply paint the walls to look like gray bricks, and mount a couple of crossed swords and a crest (You can purchase these or make them yourself) on the walls. You may even want to find some wall stickers depicting dragons to add a little spice to this creative kids room décor. If you have two boys sharing a room or, simply have bunk beds for your kids beds, you can make the top rail of the bunk look like a castle wall. You may even be able to get knight or dragon wall stickers in a small size to decorate the furniture with to add to the overall theme. A dragon lamp makes a cool accessory to add to the overall décor. Robots hold a fascination for almost every one so creating a robot inspired bedroom that is suitable for both younger kids and twins may be easier than you think. There are wall stickers and decals you can use to decorate your kid’s furniture as well as sheets and quilts. For accessories simply add a robot alarm clock and humidifier and a shelf where your child can show the robots that he builds himself and the room will practically decorate itself. For smaller children; turning their bedroom into a construction site is simple and easy. Try finding some bulldozer kid’s beds and choose the one you like the best. 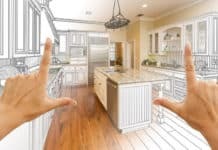 Use a large mat on the floor that makes a great road, and put up wall decals or stickers of various construction equipment. The right bedding, a few throw pillows, and some construction toys and your child will be happy pretending to dig and build for hours at a time. 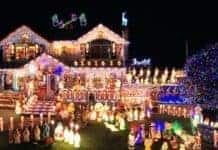 Another great boy’s bedroom idea is using the circus. 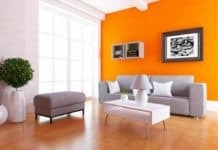 Try painting the walls red and white stripes and use wall stickers or pictures of clowns or other circus-themed pictures to decorate the walls. Paint the kid’s furniture in the room in bright primary colors and add circus decals for more interest. Place circus-themed quilts on both the top and bottom bunk beds. 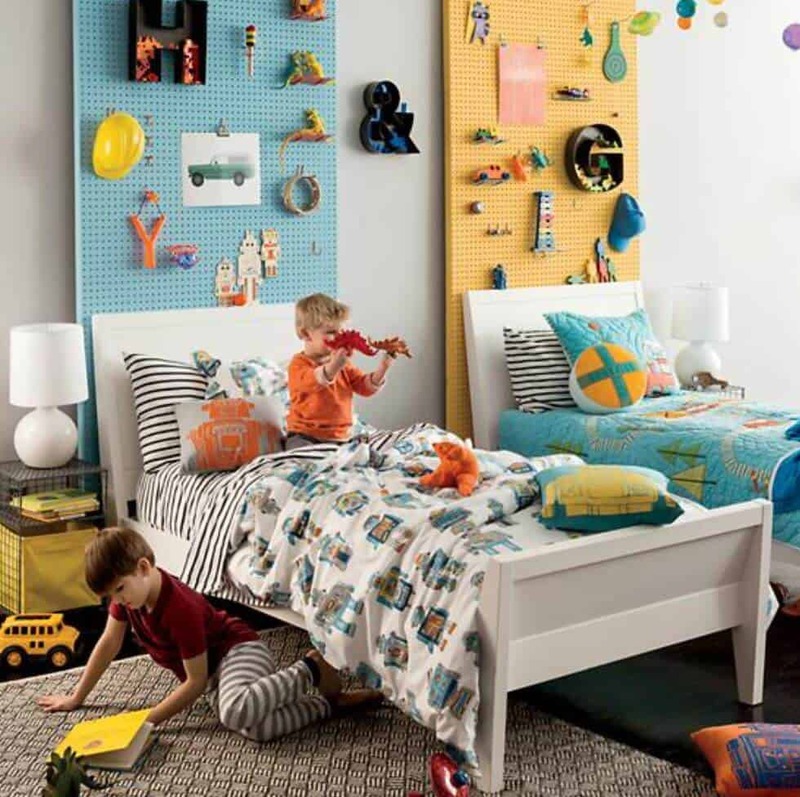 These creative boys room ideas have something for children from young toddlers through to preteens and should inspire your own imagination.